At the National Association of Broadcasters (NAB) in Las Vegas, HP has announced two new additions to the DreamColor series. The HP DreamColor Z31x Studio is aimed at the high-end professional content creators; it features the Cinema 4K resolution of 4096×2160 and a true 10-bit IPS panel for accurate and consistent colors. 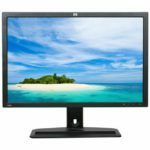 The monitor also offers plenty of exclusive features and abilities such as automatic calibration, different native refresh rates, and a wide color gamut. HP has also announced the HP DreamColor Z24x G2 which is intended for the entry-level professional designers. 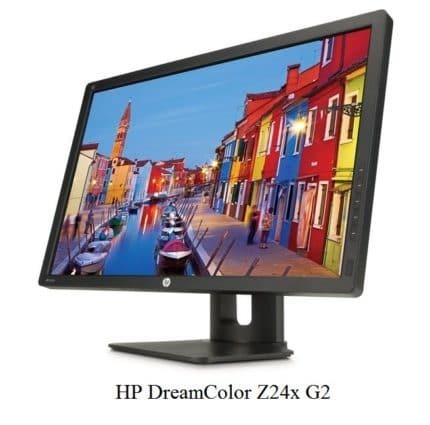 Unlike the Z31x model, the HP DreamColor Z24x monitor features an 8-bit panel (with FRC to support 10-bit color depth). It’s 24 inches in size and offers 1920×1200 resolution at 16:10 aspect ratio. The panel covers 99% Adobe RGB, 100% sRGB, 100% BT709, and 96% of the DCI-P3 color spaces. In addition, it will come with the DreamColor Calibration software for custom calibration in the User mode. The HP DreamColor Z31x monitor was co-developed by high-end professional animators and visual effect creators in order to manufacture the ideal editing monitor for various purposes; the Dream Color series monitors even earned the Scientific and Engineering award. Instead of featuring the UHD 4K resolution, the HP DreamColor Z31x display offers the true 4K resolution of 4096×2160 which is used as the digital cinema standard. The fact that such resolution is display on a 31.1-inch screen size results in a rich pixel density of almost 150 pixels per inch which gives the details room to shine. The 10-bit IPS panel ensures the impeccable 178-degree viewing angles and incredibly accurate and vibrant colors. The covered color spaces are as follows: 100% sRGB, 100% BT709, 100% Adobe RGB, 99% DCI-P3, and 80% of the BT20220. Whether you’re a professional photographer, graphics designer, video editor, or animator, you will have the state-of-the-art precision and consistency of colors at your disposal. The HP DreamColor Z31x PC monitor also has an integrated colorimeter which can automatically calibrate colors either on demand or by schedule. The IPS panel of the monitor also delivers a superior contrast ratio to the other IPS panels and amounts to 1,500:1. As a result, there’s an enhanced relation between the darkest and brightest tones as well as remarkably expressive black colors for improved shadow details when editing. Although the monitor features a wide DCI-P3 color gamut coverage and high contrast, its brightness peaks at 250 nits which makes it ineligible for the HDR10 format. Lastly, the HP DreamColor Z31x IPS monitor will provide you with the unique True 2K mode and with the ability to apply different native refresh rates. The True 2K mode allows you to have two images displayed in 2048×1080 resolution without any scaling whatsoever. You can change the native refresh rate from 60Hz to either 50Hz or to 48Hz, which is double the 24FPS standard for films. 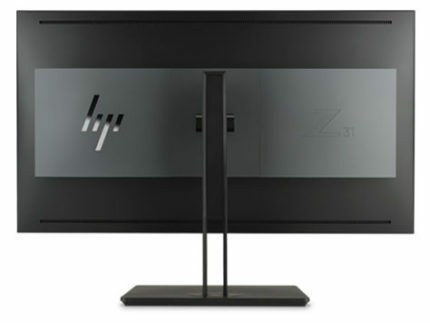 The design of the HP DreamColor Z31x consists of a somewhat thick profile with wide bezels and a pure black color which makes the monitor look modern and well, professional. There are plenty of ergonomic abilities available as well including -5, 30 degrees tilt, 45 degrees swivel to the left and right, and up to 144 millimeters for height adjustment. The HP DreamColor Z31x screen is coated with an anti-glare finish. The connector ports include two DisplayPort 1.2, two HDMI 2.0, and an USB type C which can also carry the DisplayPort signal. The USB-C port allows you to simultaneously charge your device up to 60W, transfer data, and stream audio and video content. Additionally, there are four USB 3.0 ports for the peripherals and one upstream USB-B port which needs to be connected to the PC in order for the other ports to function. The monitor also features the built-in KVM switch which allows you to control two computers displayed on the screen of the HP DreamColor Z31x using only one set of keyboard and mouse devices. The HP DreamColor Z31x price amounts to $4,000. 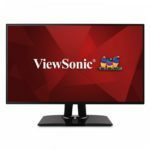 The fact that the monitor offers everything a high-end professional designer may need makes this immense price tag somewhat reasonable. However, since it doesn’t support the HDR format, I suppose a big part of the consumers will be repulsed. Alas, HP DreamColor Z31x release date is sometime during the next year, so there’s no need to jump to conclusions yet. Besides, we still have to wait and see how the HDR monitors and its content behave once they are more widespread. On a related note, the HP DreamColor Z24x G2 price is considerably cheaper and amount to $560. Although it offers only 1920×1200 resolution, its color accuracy and exclusive features make it an appealing option for the aspiring designers who aim high. The HP DreamColor Z24x G2release date is in July 2017. 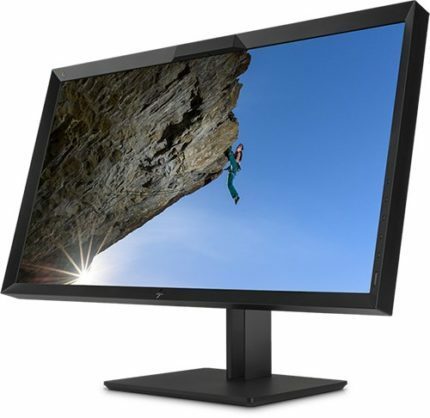 Hp takes the award-winning DreamColor series monitors to the next level with the HP DreamColor Z31x DCI-4K display while also providing the entry-level professionals with an affordable yet highly impressive model – the HP DreamColor Z24x G2 monitor. In the age of rapidly rising display technology, HP focuses on delivering the impeccable products to both top-tier and lower tier designers. 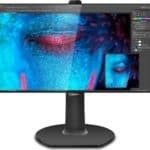 This year there are already numerous ground-breaking monitors in the works for both gaming and professional design and since the HP DreamColor Z31x is scheduled for release sometime next year, the high-end professional designers can hope for a decrease in price. However, due to its impressive color gamut, the true 10-bit color depth and DCI-4K resolution, and a plethora of exclusive features, the HP DreamColor Z31x is meant only for serious content creators and is thus price so. The HP DreamColor Z31x features the true DCI-4K resolution and 10-bit color depth for the state-of-the-art colors accuracy and consistency required only by the top tier professional content creators. Moreover, the monitor offers a sleek design with versatile ergonomics and connectivity options as well as plenty of unique features.